Here’s charming cot linen for those who want something other than pirates, licensed characters and grey tones for their baby boys. Thanks to an Australian mum, we can brighten up our little gents’ spaces. And mums of girls – many pieces in this new collection are unisex. 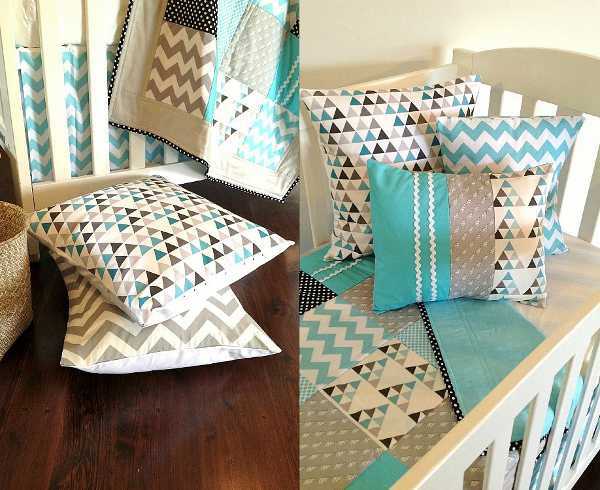 We’ve previously spoken of our affection for Alphabet Monkey and its unique quilts, which range from rocking to subtle. 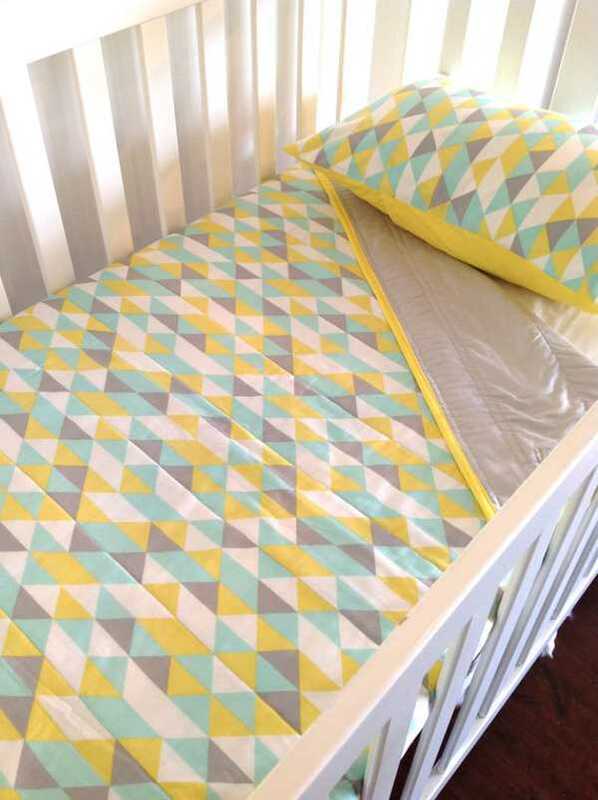 The latest Alphabet Monkey collection is geometric to the core – with an underlying pallet of grey brought to life by pops of yellow, aqua and teal and interspersed with some chevron. 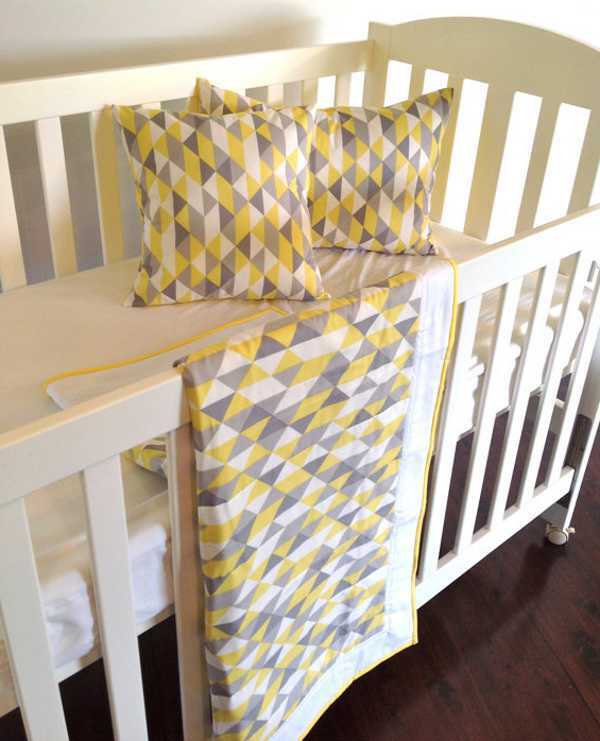 The mainstay of each collection is the cot quilts. They’re made from cotton, with natural cotton batting. They of course look amazing (and are very functional) in a cot, but also make great play blankets. 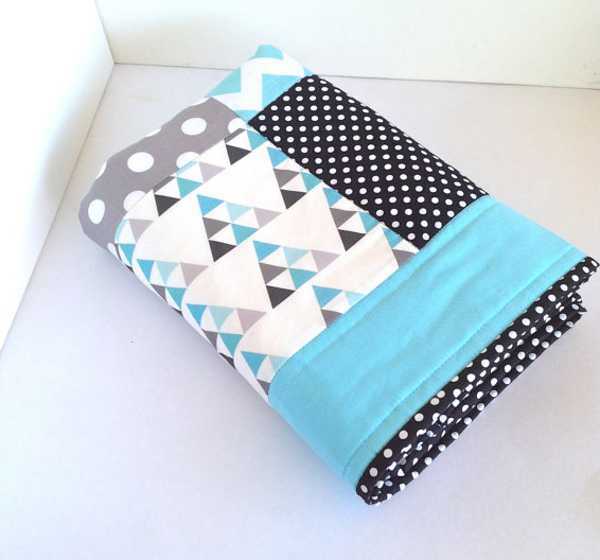 The cot quilts start at $130. 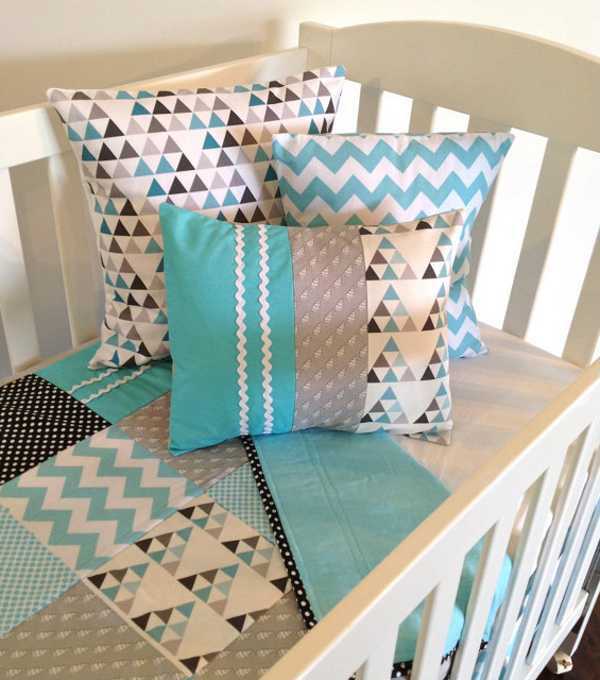 The collection also includes co-ordinating cushion covers, to decorate the nursery. The cushion covers start at $35. You can browse the entire collection at Alphabet Monkey.